ATLANTA, June 26, 2007 – The Rechargeable Battery Recycling Corporation (RBRC), a non-profit public service organization dedicated to recycling rechargeable batteries and cellphones, today announced the preliminary collection numbers of all California retailers participating in RBRC’s Call2Recycle™ program. The grand total of more than 440,000 pounds includes all rechargeable batteries collected by retailers, communities, public agencies and businesses since the new “Rechargeable Battery Recycling Act of 2006” (A.B. 1125) came into effect July 1, 2006. The Recycling Act requires retailers that sell rechargeable batteries in the state of California to provide consumers with a free system for returning these batteries for reuse, recycling or proper disposal. The batteries that must be collected include small, non-vehicular Nickel Cadmium (Ni-Cd), Nickel Metal Hydride (Ni-MH), Lithium Ion (Li-ion), and Sealed Lead-Acid (Pb) rechargeable batteries, or battery packs containing such batteries. The state of California’s successful year can be attributed in part to the increase in participation not only among local and national retailers but also among businesses, communities and licensee recycling programs. Within the past year, retailer participation increased 28 percent, while community, business and public agency participation increased 30 percent. National participating retailers include Best Buy, Circuit City, The Home Depot, Lowe’s, RadioShack, Sears, Target, and many more. In addition, many local retailers have signed up for the Call2Recycle program over the past year, including California-based Fry’s Electronics, Kragen Auto Parts, and Rite Aid (throughout the state). One noteworthy retailer success story is Sacramento’s Orchard Supply Hardware store that partnered with RBRC on a month-long awareness campaign, which in turn resulted in an increase in rechargeable battery collections of 440 percent versus the same four week period in 2005. Public Service Announcements in major CA cities such as: Los Angeles, San Francisco, San Diego, Fresno, and Bakersfield. 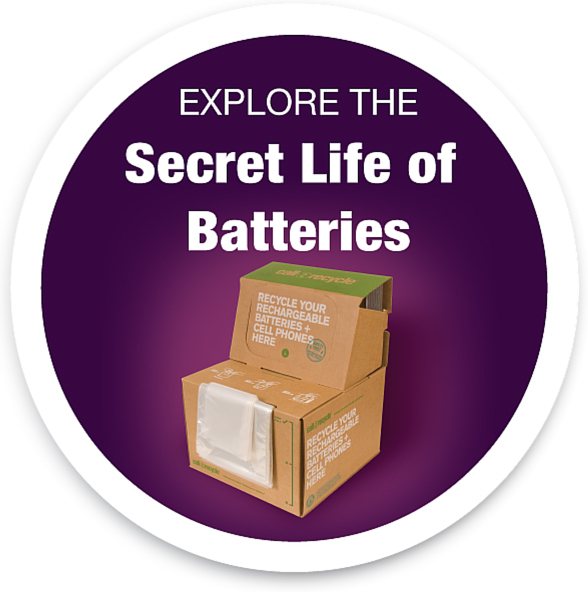 60-second educational commercials aired in numerous markets encouraging rechargeable battery users to drop off their rechargeable batteries at select retailers. RBRC Mobile marketing unit public appearance to thousands of NASCAR fans at California Speedway, Feb 23-25, 2007, Fontana, CA. Press conference held Wednesday, April 11, 2007 at the San Diego County Administration Center with San Diego County Supervisor Greg Cox and the Industrial Environmental Association. Cool the Earth Day event, April 2007, San Diego. International Associations of Electronics Recyclers (IAER) Electronics Summit, May 8-11, 2006, San Francisco. California Resource Recovery Association, Aug. 6-9, 2006, San Jose. California Science Education Conference, Oct. 19-22, 2006, San Francisco. Electric West, Feb. 21-23, 2006, Long Beach. HOMEX Homebuilder 2007 Summit & Expo, Mar. 13-15, Long Beach. For more information or to find the nearest participating drop-off location, call 1-877-2-RECYCLE or go online at www.call2recycle.org.